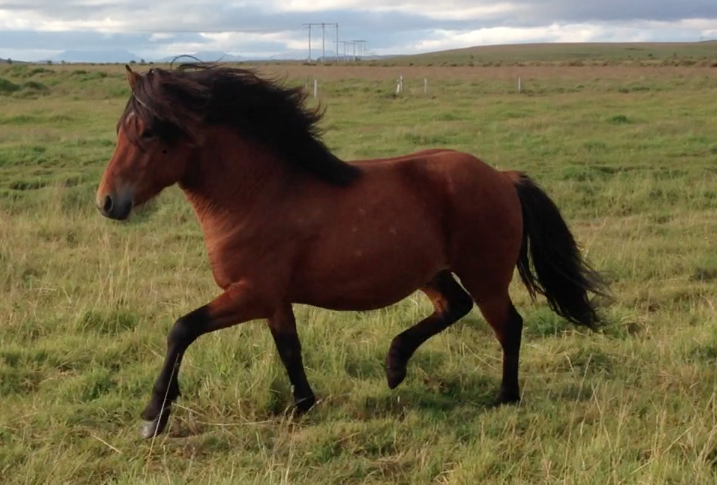 Promising stallion with great bloodline, son of Stormur frá Leirulæk (8.20) and Gáta frá Þingnesi (8.01). Garri frá Miðhjáleigu is a promising stallion with great bloodline, son of Stormur frá Leirulæk (8.20) and Gáta frá Þingnesi (8.01), Gáta has 8.29 for Riding Abilities (9 for tölt, trot and temperment, 8.5 for gallop, character and general inpression. Garri's father, Stormur frá Leirulæk, is son of Kolfinnur frá Kjarnholtum I that has a total score of 8.45 and 8.84 for Ridding abilities. Garri is brother of the great fourgaitor, Hlekkur frá Þingnesi that has 7.90 for four gait in preliminaries and 8.07 in finals.